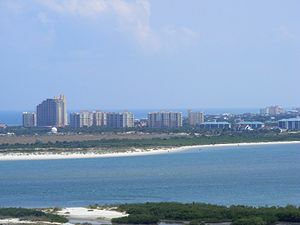 I have stayed at the Watermark Condos, in New Smyrna Beach, Florida and it was wonderful. They are located near Flagler Avenue and are right on the beach. The condos are owned individually and rented out by the week, month or season -whatever the owner decides. Some owners are year round residents. They are very large with 3 bedrooms and all of them over look the ocean. The long porch on the front is just awesome. Each resident has their own garage so the car is stored inside and not out in a parking lot. This is a drive on beach and is open to traffic all day long and can get very crowded from about April to September or October. I have stayed there in July which is very crowded and super HOT…and also the end of November when we had the beach all to ourselves and did some fishing. I contacted one owner who is renting hers and I thought I might be able to get down to Florida to visit my son and all my friends this summer some time. I would have to go in the summer because my son has school – otherwise I would not choose that time of year. I doubt that it will happen because I just don’t have the money to take a trip, but here is the link to the condo. Be sure to check out all the pictures… very nice! So if you are thinking about vacationing on the beach in Florida I would definitely recommend the Watermark. It is located off of Flagler Ave. in New Smyrna Beach.